Swords: Classic Dynasty swords of China to legendary blades of Japan's Samurai -all handcrafted by the world's master swordsmiths such as CAS Hanwei, and Marto Spain. Weapons: A wide variety of unique Asian hand weapons, pole arms, arrows, and more, designed for both function and display. Armour: Here you will find Full Suits of Samurai Armour both Display & Functional use. for the collector and the reenactment enthusiast. Accessories: Display your swords with pride and keep them sparkling. 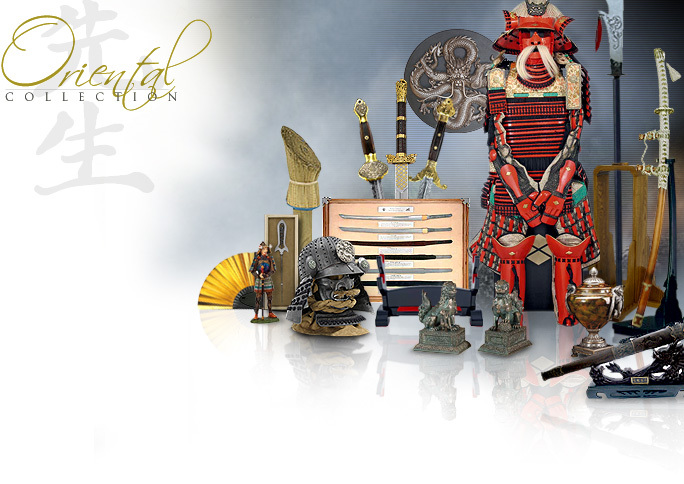 Hangers, stands, maintenance and decor items to make your display area impressive and worthy of Samurai pride.